Yet another Nissan on tracks! 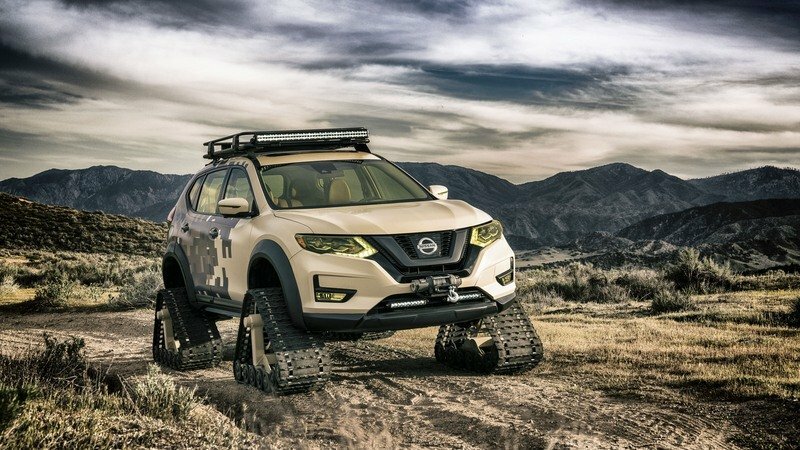 "This new Rogue Trail Warrior adds a new dimension to family adventures with its snow/sand tracks, gear basket, winch and camo paint," said Michael Bunce, vice president of product planning at Nissan North America. "If you want to stand out from the crowd during a day on the slopes or the beach, this is the vehicle to take." 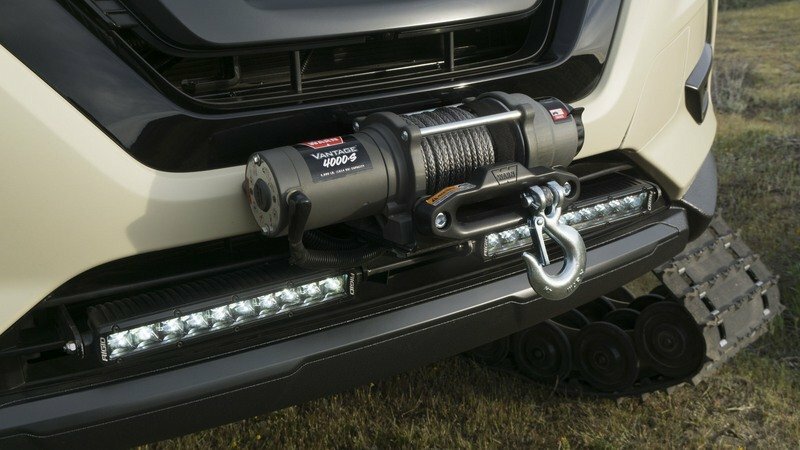 The first thing that catches the eye when looking at the Trail Warrior Project is the track system in place of the standard wheels. The first thing that catches the eye when looking at the Trail Warrior Project is the track system in place of the standard wheels. Designed for both snow and sand, the Dominator Tracks are sourced from American Track Truck Inc and are 48 inches long, 30 inches high, and 15 inches wide. 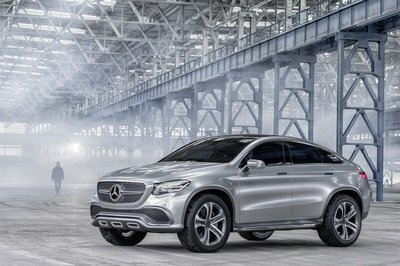 The track also increase the SUV’s ride height and it appears as if this Rogue can drive just about anywhere. In order to fit the tracks Nissan modified the suspension and wheel wells, but the standard drivetrain system was kept without alterations. 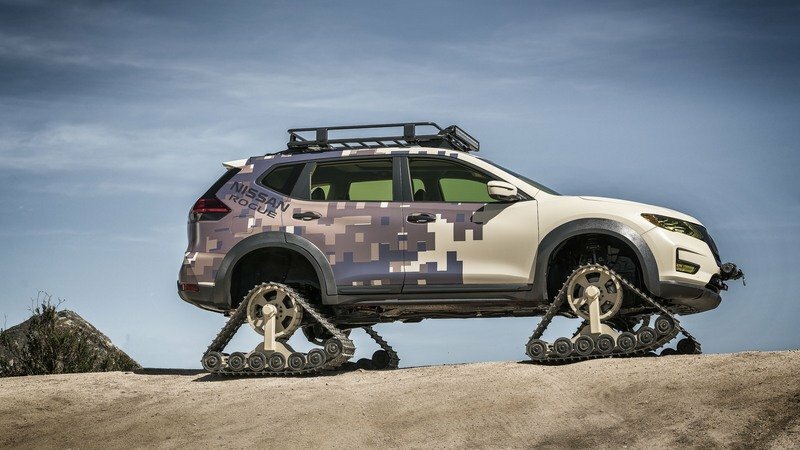 In addition to the go-anywhere gear, the SUV also gained a custom livery that combines a cream front section and a military-style rear half. However, while traditional military camouflage has disruptive patterning, the one on the SUV is built from squares in a more modern, artistic fashion. Additionally, it the Rogues is equipped with yellow glass, tinted headlamps and foglamps, custom fender flares, and a Warn 4K winch just below the grille. 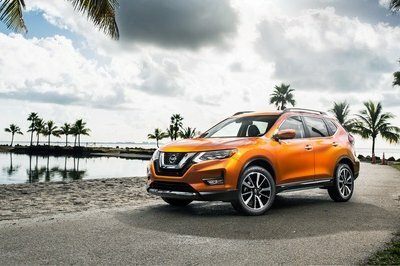 For enhanced visibility in poor weather conditions, Nissan added extra LED lighting in the front bumper as well as on the roof. 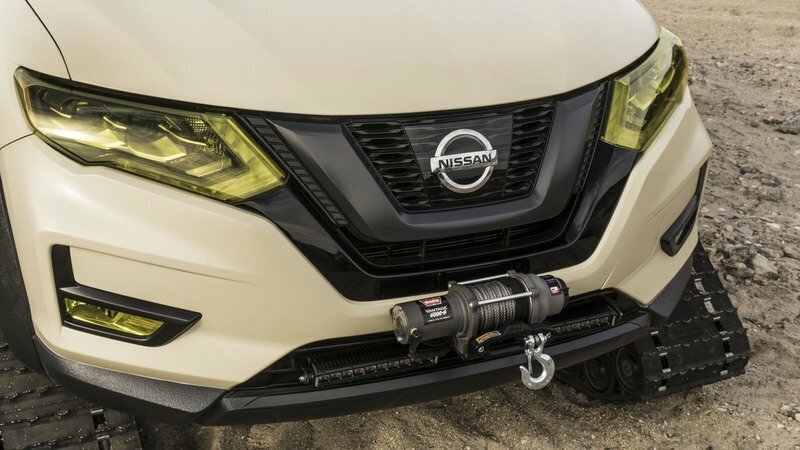 For enhanced visibility in poor weather conditions, Nissan added extra LED lighting in the front bumper as well as on the roof, in front of the ARB Gear basket. 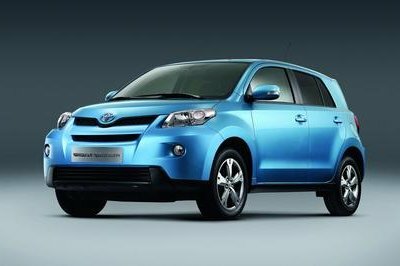 The Japanese automaker had nothing to say about the interior, so it’s safe to assume that the concept car is identical to the standard model inside the cabin. If you ask me, this type of vehicle needs a more solid roof and a rollcage because things can go wrong in both sand or snow. On the other hand, being just a concept explains why Nissan didn’t bother. 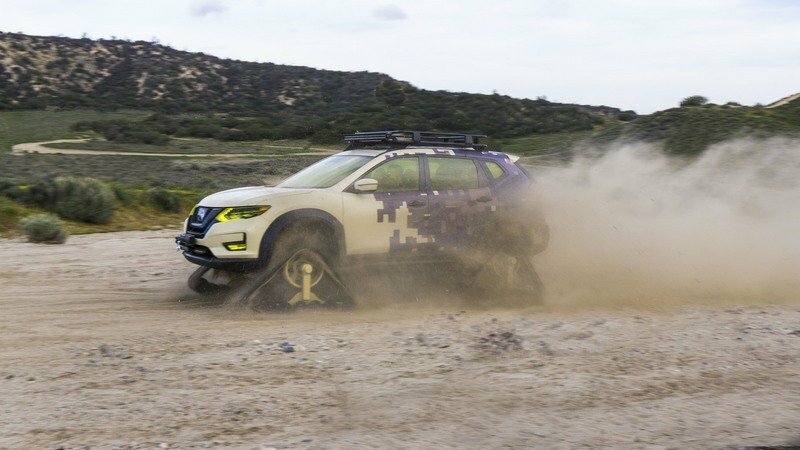 The Trail Warrior Project is also standard under the hood, where the familiar 2.5-liter four-cylinder engine feeds 170 horsepower and 175 pound-feet of torque through the Xtronic transmission to the massive tracks. 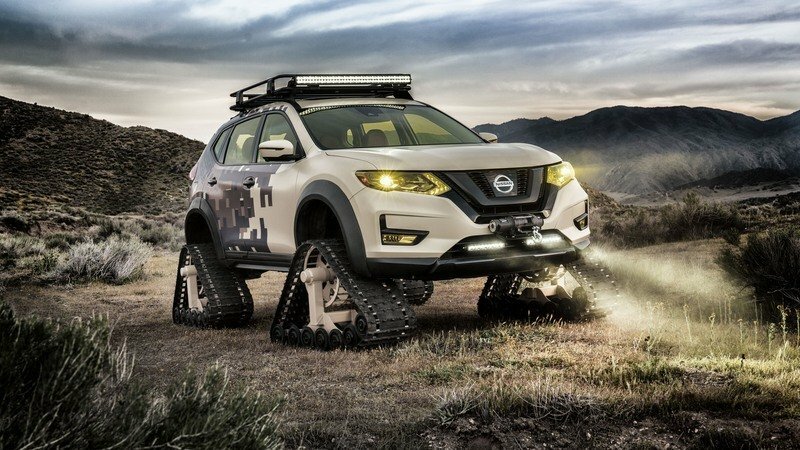 Nissan says that the standard output is more than enough for climbing snow banks or sand dunes. I guess we’ll never find out since this concept won’t make it on the assembly line anytime soon. And then there are the snow/sand tracks. The DOMINATOR® Tracks, from American Track Truck, Inc., are 48 inches long, 30 inches high and 15 inches wide, and they replace the Rogue’s regular wheels and tires. 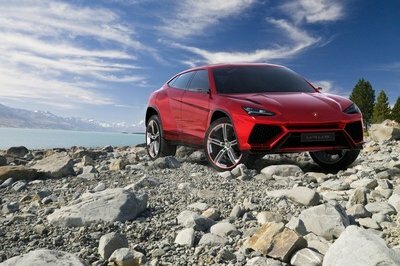 The suspension and wheel wells were modified to fit the track system, but otherwise all drivetrain components, including the 2.5-liter DOHC 16-valve inline 4-cylinder Rogue powerplant and Xtronic transmission, are standard factory issue. 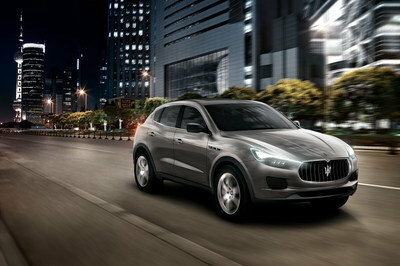 The engine is rated at 170 horsepower and 175 lb-ft of torque, more than enough for climbing snow banks or sand dunes. 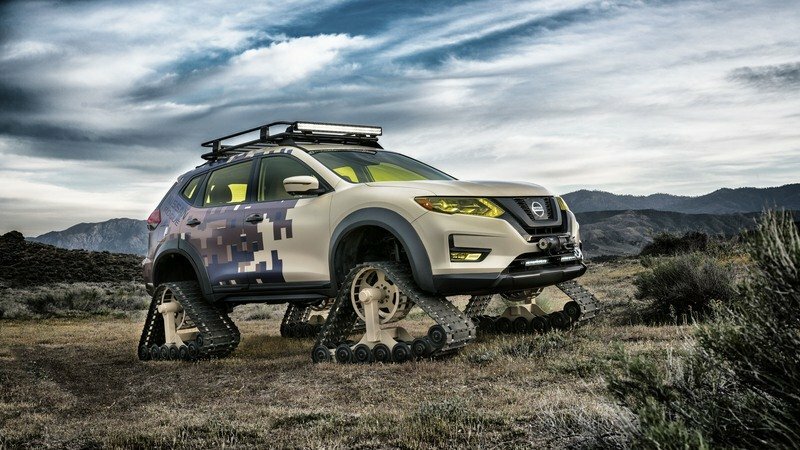 "This new Rogue Trail Warrior adds a new dimension to family adventures with its snow/sand tracks, gear basket, winch and camo paint," said Michael Bunce, vice president, Product Planning, Nissan North America, Inc. "If you want to stand out from the crowd during a day on the slopes or the beach, this is the vehicle to take."